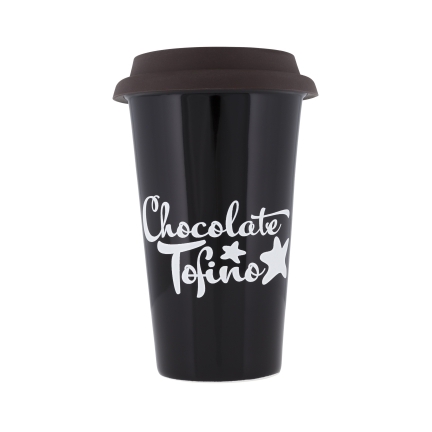 Keep your Chocolate Elixir close at hand in this Chocolate Tofino Ceramic Tumbler. This Double-wall tumbler won't burn your hands, has a close-fitting chocolate brown silicone lid and holds 11oz. Our "take-out" style drinkware is 6" tall and fits in most drink holders. Hand wash recommended.